The lives of fungi and trees are intimately involved, but there’s more to it than mycorrhizae or mildew. 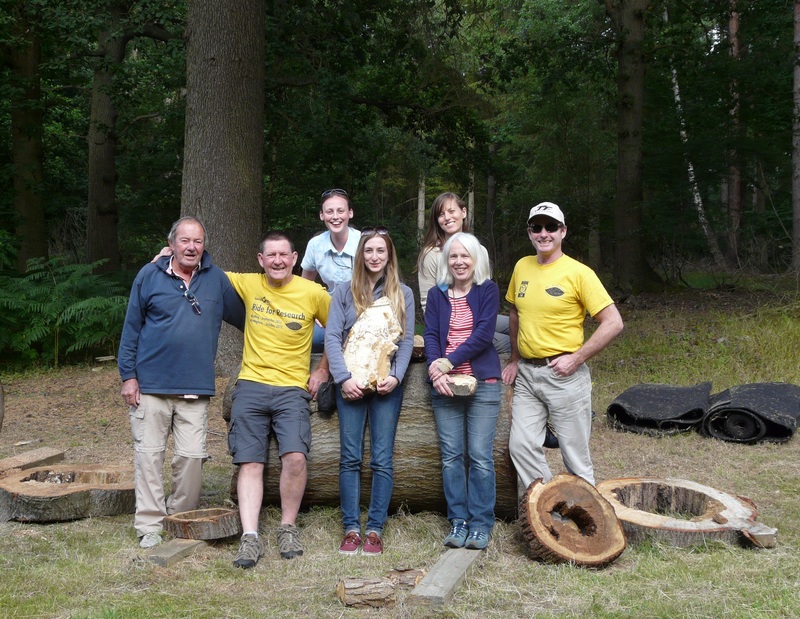 Launch of the Heart-Rot project at Windsor Great Park. Fund4Trees trustees (yellow t-shirts) Mick Boddy and Martin Gammie, with Ted Green, Professor Lynne Boddy and Emma Gilmartin. Fungal decay in the interior of tree trunks and large branches, termed heart-rot, is a natural part of tree ageing. Heart-rot and associated hollowing is ecologically essential for a range of species, including birds, several rare invertebrates and other fungi. We peer into the oldest trees in the country and see that large volumes of heartwood have decayed away leaving an outer ring of functional sapwood. These trees are hollow but not empty; indeed, they are full of life. 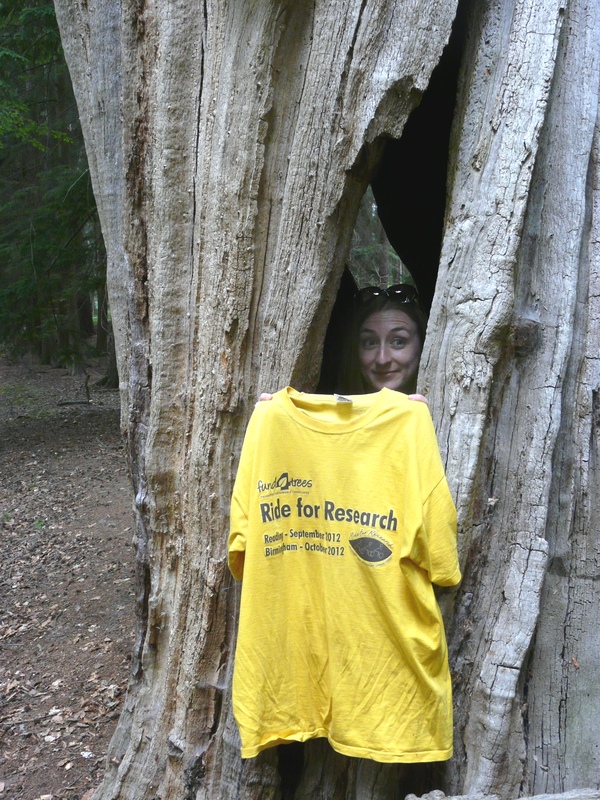 I’m grateful to Fund4Trees for their support of my current PhD research. Based at Cardiff University, I am beginning to explore the ecology of heart rot and associated organisms, with project partners at Natural England, The Crown Estate and City of London. Relatively little is known about heart rot, probably because forestry research and practice is focused on young trees. Though there are some ideas, we don’t know how fungi enter and establish in standing trees, how fungal communities change through time, and how this affects patterns and speed of decay. With a focus on beech (Fagus sylvatica) at Windsor Great Park and Epping Forest, we have begun to map fungal communities in trees at a range of decay stages. This is an important first step and survey element which will yield clues to initial questions and direct subsequent work. So far we have done this the traditional way, by identifying mycelium grown from wood chip samples taken once a tree has fallen. A less-destructive complement, however, is next generation sequencing. This is a method of producing entire community profiles based on DNA extracted from a just small amount of sawdust. Sequencing DNA from wood is an immensely exciting prospect for discovering hidden diversity that we might never encounter as mushrooms and brackets, or as fungal cultures. The technology is expensive, though improving and the grant provided by Fund4Trees will go some way towards furthering this key research. Ultimately, we would like to use a better understanding of heart rot to increase the proportion of various heart rot niches. In areas with a generation gap between ancient or hollow trees and young trees without decay, dependent organisms have no new habitats to move into. One way of addressing this problem might be to inoculate trees with suitable heart-rot fungi, though this is some way off. The results of the sequencing study will be published in 2016, which we hope will be of interest not only to those who study fungi, but to anyone interested in trees, conservation and arboriculture. Professor Rob McKenzie appointed chair of Research Advisory Committee.